JCRG1680, STC-Shaped Guitar from Ibanez in the J-Custom series. Most J-Customs are known to have super gaudy vine inlays, and while I love the vine inlays, there are times when I think that they would look a lot better with a more conservative look. 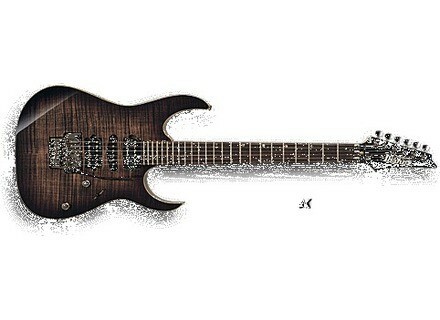 This was Ibanez's attempt at helping make the guitar a bit less showy. The guitar has a mahogany body with a flame maple top, a maple neck, rosewood fretboard with 24 frets, offset dot inlays, an Ibanez Edge Pro tremolo, HSH configuration, all access neck joint, one volume, one tone and a five way switch. First off, the frets are AMAZING on this guitar. The guitar really couldn't be any more perfect in terms of fretwork when it came to the edges. They're rounded and balled, so they're super comfortable when moving up and down the neck. They were also perfectly level, so you could get any action you wanted without any issues of fretting out due to low frets. The flame top on this looked amazing, and it really stood out. I also liked the reserved offset dot inlays going on with this model. It gave it some class and helped differentiate itself from the normal vine inlays J-Customs. The guitar had a more unique combination to it when compared to other J-Customs out there. It had a Steve's Special in the bridge, Blue Velvet in the middle and PAF Pro in the neck. The Steve's Special is a more scooped pickup, and given that mahogany is actually a fairly mid heavy wood, it worked quite nicely. It was clean sounding, had the right amount of compression and gave some great split tones with the Blue Velvet. The PAF Pro in the neck was also very clean and clear sounding. It worked great in mahogany as the mids helped thicken this pickup up and give it some extra grunt that it normally doesn't have. If you ever come across one of these, I recommend buying it immediately. They're price, but they really are worth every penny. The fretwork on these is some of the best in the world, and I'm not exaggerating. It's easily on par with Suhr, Anderson, Tyler and the such. In fact, I generally prefer the J-Custom's fretwork as they tend to be balled which the others aren't. The pickups in this are great, the trem is the best in the world, everything about this guitar is prefect, really. 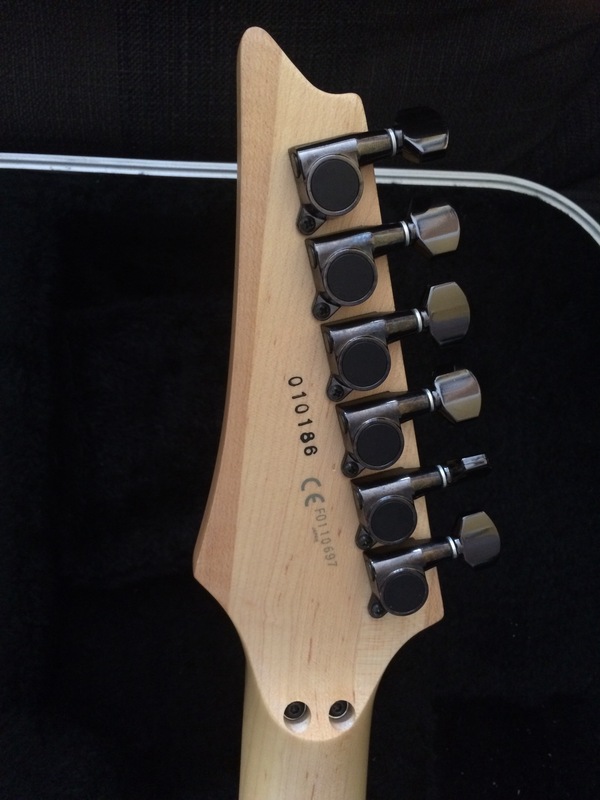 tjon901's review"J-Custom Ibanez with thick tones"
The RG1680 was a super high end J-Custom Ibanez model made to give the RG shape the thickest tone possible. This RG is built more like a Les Paul. The RG1680 has high end specs for an RG. It has a mahogany body with a flamed maple top. It has a rosewood fretboard with offset dot inlays kind of like a Petrucci signature Ibanez. The neck is very large for an Ibanez. Normal RG players will be shocked at how big it is. It has a radius similar to that of a Les Paul. Since this is a J-Custom Ibanez doesnt put their crappy pickups in it. It has an HSH pickup configuration with a Dimarzio Steves Special in the bridge. 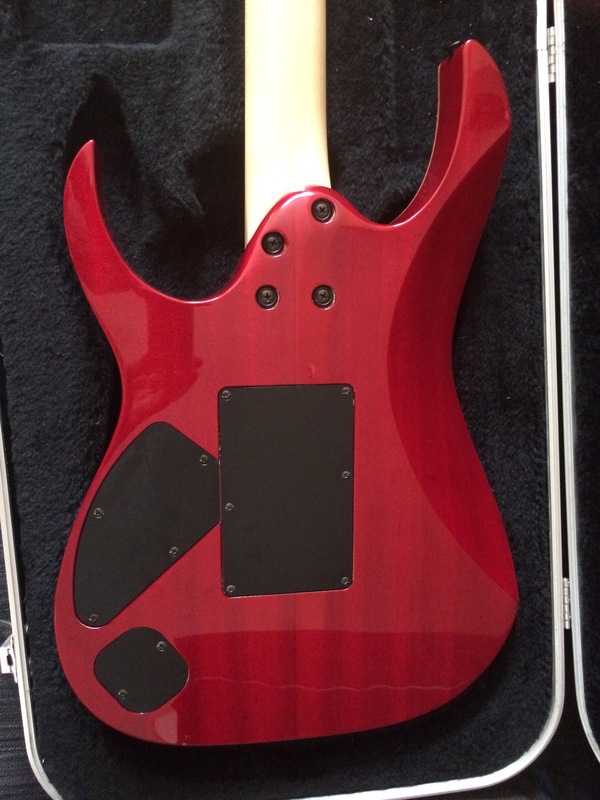 In the neck position there is a Blue Velvet and in the neck there is a Dimarzio PAF pro. This guitar plays great like any RG. Ibanez gives special care to the fretwork on the prestige models, this is the greatest difference between the prestige models and the normal models. Like many of the new Ibanez RG models the 1680 features the all access neck joint so you can comfortably play in the high registers of the neck. 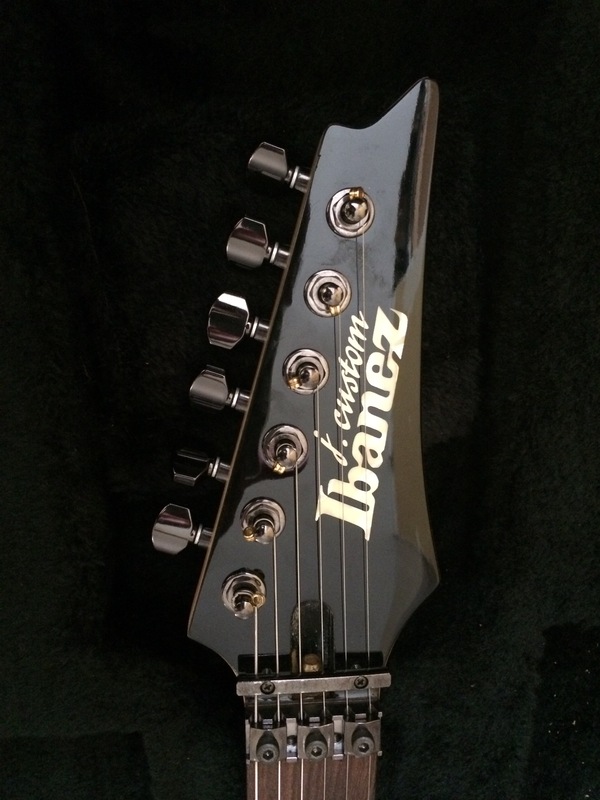 Because of the slightly larger neck some Ibanez players may not the feel of the neck. 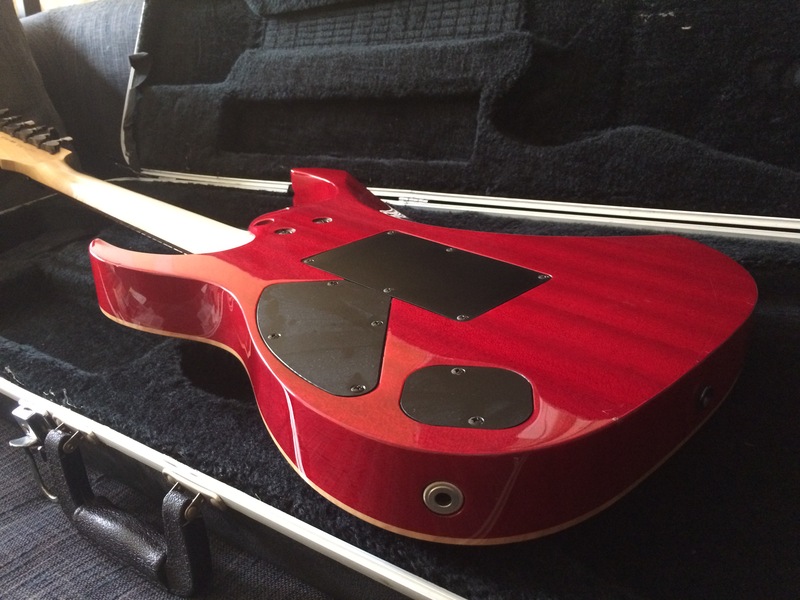 The mahogany body and maple top make the guitar a lot heavier than normal Basswood RG models. This guitar is one of the best sounding RG guitars out there. The Steve Special in the bridge is nice and crunchy and keeps its clarity. The PAF pro does what it says. It sounds like a classic PAF pickup so you can get the smooth neck tones for blues and leads. The Dimarzio pickups match up perfectly with the mahogany body and maple top to give you classic Les Paul like sounds. The thicker neck also helps get the tone similar to what you would expect on a Gibson. A major downside to this guitar is how expensive it was. Even with all its features it does not really justify the price. You can make a guitar like this for thousands cheaper than what this guitar goes for. You can get an Ibanez RGA with a mahogany body and maple top for less than 1000 dollars and the pickups are just another 150. This guitar is more than double that. If you want a very thick sounding RG and dont want to mod a guitar to get the tone this guitar is for you if you can afford it.